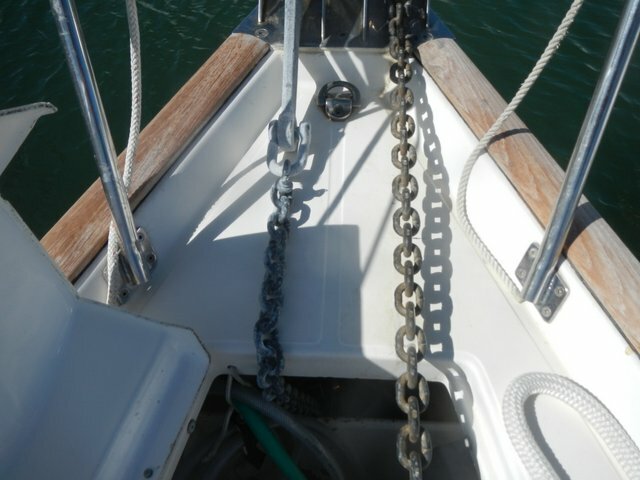 One design issue with Echo that has bothered me is that the anchor chain drags on the deck and scars the fiberglass when the chain is deployed and retracted. This is especially true where the chain rides on the lip of the anchor locker. As a fix I designed a protective plate that fits under the chain and protects the deck. I emailed a sketch to Tom at Whitewater Marine and in a couple of weeks had the new fabrication in hand. 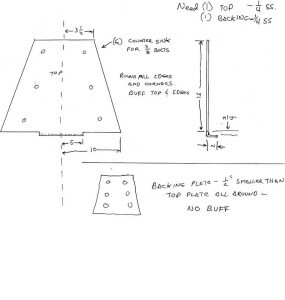 The plate was designed with a full size backing plate under the deck to make it extremely robust. 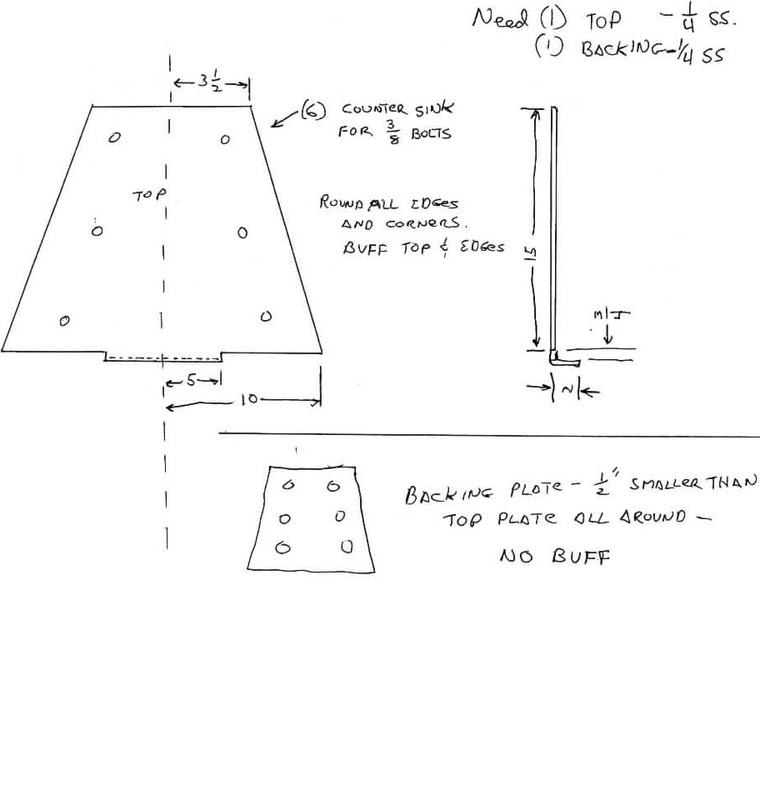 I made the plate extra strong because another feature that I have also wanted was an additional strong point on the bow to tie off mooring, anchor snubbers, or tow lines. The plate made a great spot to mount a large bollard.